Lane Crawford invites customers to contemplate the conscious use of the imagination in ‘Artistic Expressions’ — its latest collection of artworks displayed in store and online. 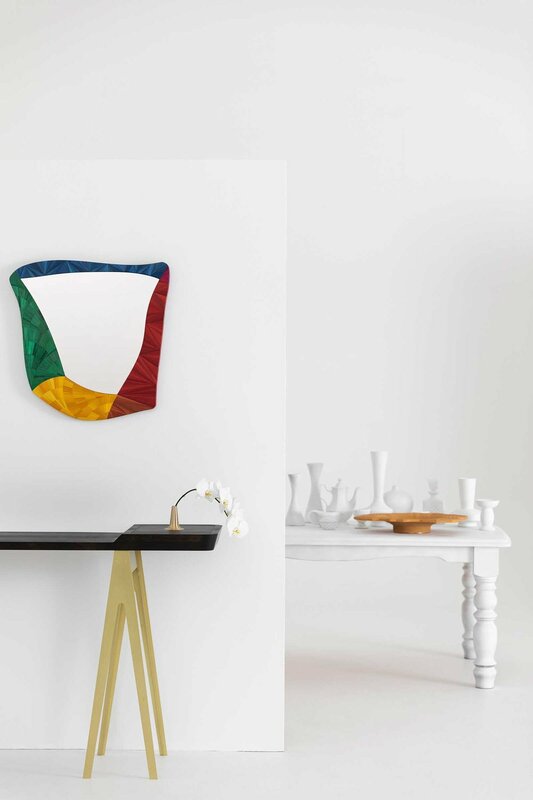 Bolstering its commitment to scouting new creative talent and selecting exclusive edits for its Asian customers, Lane Crawford will showcase a series of original, one-of-a-kind artworks by artists from around the globe between 26 March and 24 April 2019. Lane Crawford has always been at the forefront of luxury lifestyle through its partnerships and collaborations with some of the most influential names from the worlds of fashion, art and design. To envisage how we as individuals transform our feelings and imagination through different art forms, Lane Crawford has invited its international creative community to share their vision and transform their perspectives into a series of exclusive pieces and artistic installations. It is artistic expression that fuses imaginative minds and skilled hands. Inspired by the otherworldly landscape of California’s Joshua Tree National Park, Los Angeles-based artists Simon and Nikolai Haas reworked their family of characterful creatures in close collaboration with Elad Yifrach, Creative Director of L’OBJET, to create a collection that spans tableware, home décor, textiles and fragrance. The collection is available exclusively at Lane Crawford in Asia, including Lane Crawford ifc mall, Pacific Place home store, and online at lanecrawford.com. “When deciding where and when to take the fantasy world of L’OBJET Haas Brothers, Hong Kong during Art Basel was top of our list. We have such a rich history with Lane Crawford, who I know will create an incredible experience for its luxury Asian customers”, Yifrach added. Connecting art and design, Australian curator Emma Elizabeth brings together eight design talents, including Adam Goodrum, Alex Fitzpatrick and leading design studios such as Skeehan and Stellen Workshop, to present a collector’s edition of the most innovative Australian design through a global exclusive lifestyle collection for Lane Crawford. This one-of-a-kind collection includes decorative objects and sustainable furniture and will be showcased to an international audience during Milan Design Week. “It is an honour to have our work presented in Lane Crawford, the destination of discovery, and to be part of their vision to present the most contemporary art and design to the world”, Adam Goodrum said. “For us an object that is artfully designed is one that is both beautiful and useful. In other words, design is art made practical. We felt that it was this shared approach that attracted us to Lane Crawford. Stop & Smell the Roses was made exclusively for the Artistic Expressions programme and has offered a wonderful opportunity to share Volker Haug Studios playful and functional aesthetic with the Asian design community”, Volker Haug Studio said. Auckland-based sculptor Gidon Bing creates deceptively simple, reductionist works of art using experimental processes represented in a select range of ceramic, metal and print works. Gidon Bing’s work has been featured in Milan’s Salone del Mobile and is collected worldwide. Deeply inspired by her West African heritage, Leena Similu – a fashion industry veteran and the founder of Yaya Situation, a Lane Crawford Creative Call Out 2018 Los Angeles finalist – spent her childhood summers exploring the exotic landscape and mountains of Cameroon alongside her grandmother Yaya, a midwife. These defining moments, fused with the infectious enthusiasm and unequivocal joy of living in Los Angeles, come together in a collection of ceramic vessels, pots and wares.